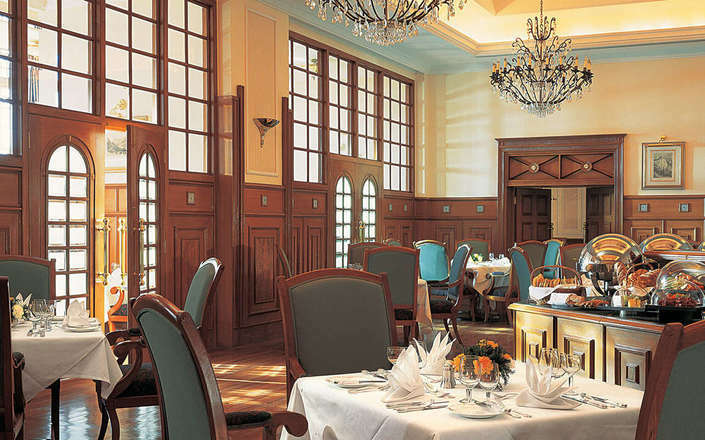 Renowned for its exclusivity and glamorous ballroom dances during the Raj period, The Oberoi Cecil is a colonial-chic hotel that dates to 1884. 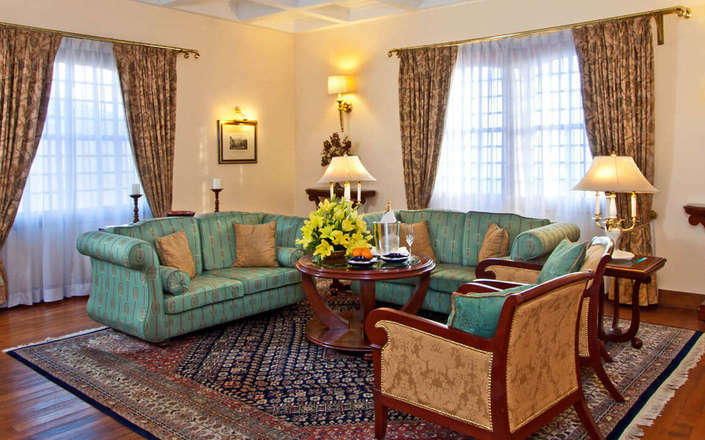 Located at the quieter top end of the Mall Road, The Oberoi Cecil is conveniently located to discover the old Viceregal Lodge as well as the fading colonial period buildings that punctuate Mall Road. Tastefully restored to its original grandeur and converted into an elegant heritage hotel, The Oberoi Cecil is built around a central atrium. 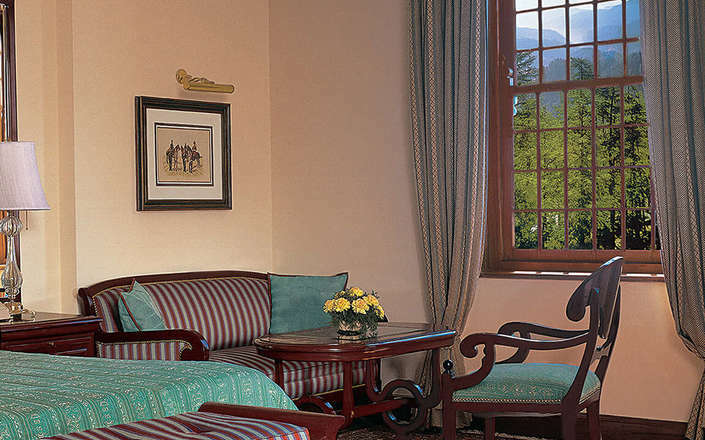 Accommodation at the hotel offers is in 79 rooms and suites that reveal a classic colonial style décor with period style furniture, Burmese teak floorboards and high ceilings whilst the walls are adorned with pictures of the Imperial cavalry. 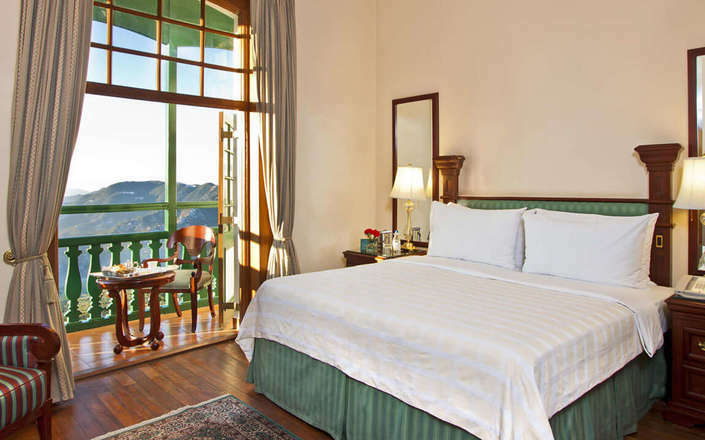 The Deluxe and Luxury Rooms occupy the front of the hotel and overlook the towering Cedar trees or the terraced garden; while the Premier Valley View Rooms and suites offer magnificent views of the serene Shimla valley. 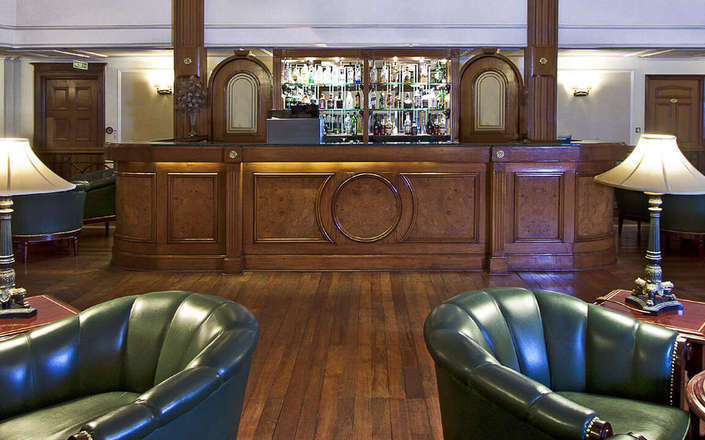 For those travelling with children, we recommend rooms in the Tudor Wing for easy access to the children’s activity centre. 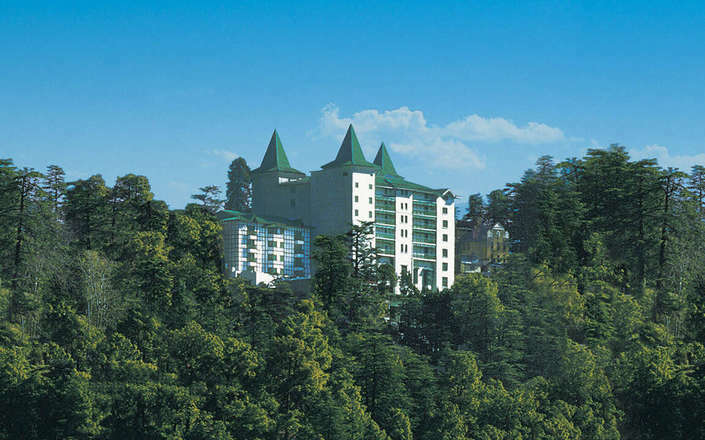 The fabulous Raj era ballroom with glorious views of the mountains now houses The Restaurant serving pan-Indian, Western and local Himachali cuisine, while classic aperitifs and digestifs are served at The Lounge, which is set within the soaring spectacular sky-lit central atrium. 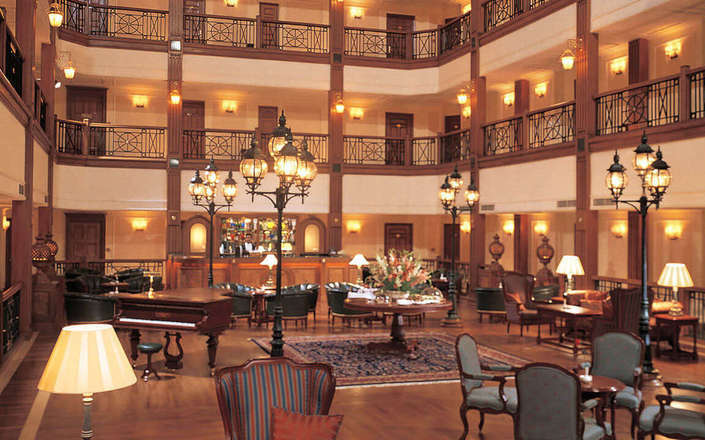 Leisure facilities on offer include an indoor temperature-controlled swimming pool, fitness centre, library, children’s activity centre and a Spa offering signature massages and revitalising body therapies. 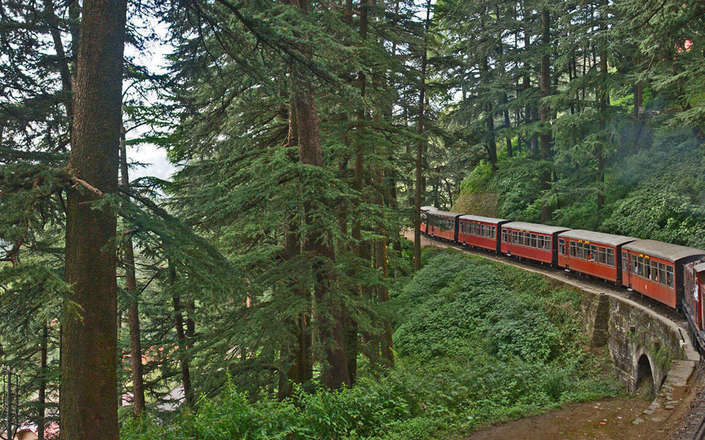 For an ultimate Oberoi Cecil experience combine an invigorating walk through dense rhododendron and cedar forests with a relaxing spa treatment and candlelit dinner. Good for families and couples alike!